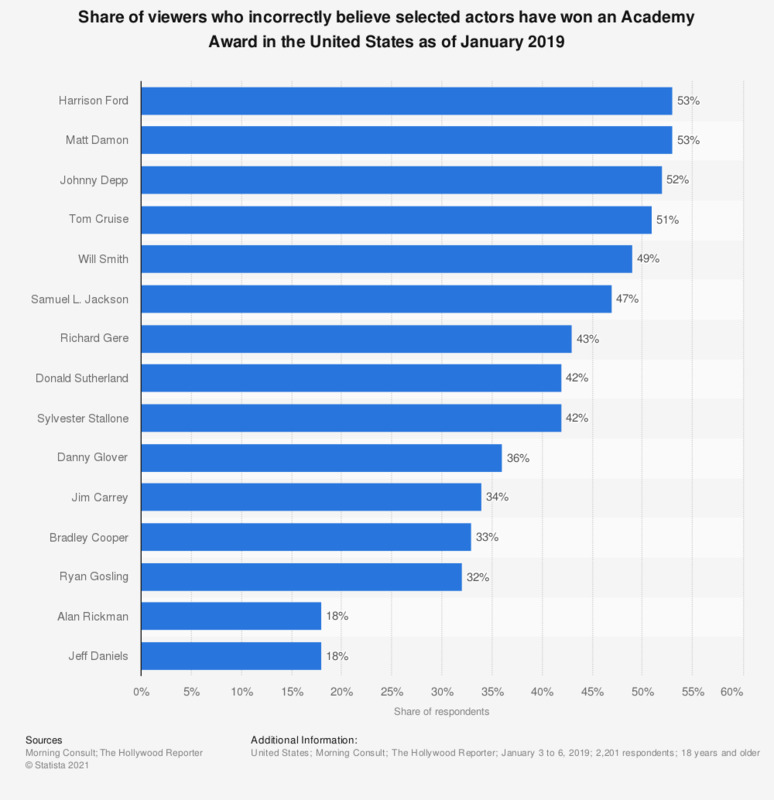 The statistic presents information on the share of viewers who incorrectly believe selected actors have won an Academy Award in the United States as of January 2019. During a survey, 53 percent of respondents incorrectly believed that Harrison Ford had won an Oscar for acting. He was nominated for the Best Actor award in 1985 for "Witness", but lost out to William Hurt for "Kiss of the Spider Woman". This question was phrased by the source as follows: "To the best of your knowledge, which of the following actors have ever won an Academy Award (Oscar) for Best Actor or Best Supporting Actor?" Have you seen, want to see, or at least heard of “All the Money in the World”?